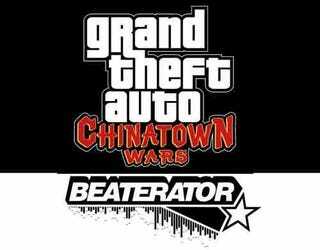 Rockstar makes a move onto the iPhone in a big way, announcing both music-maker Beaterator and Grand Theft Auto: Chinatown Wars for Apple's handheld this fall. While we were expecting Beaterator thanks to model Jacquetta Wheeler, Grand Theft Auto: Chinatown Wars for the iPhone comes as a complete surprise. Rockstar's Sam Houser explains why these two titles are perfect for the iPhone. "The simple, pick-up-and-play nature of Beaterator lends itself so well to the Apple platforms. We are happy to deliver an application that allows for such unprecedented sharing and ease-of-use." And what about Chinatown Wars? "Chinatown Wars is a perfect match for the iPhone and iPod touch. We are very excited to bring this incredibly ambitious version of Liberty City, with this level of detail and immersive gameplay on Apple's new gaming platforms." Grand Theft Auto: Chinatown Wars was only recently confirmed for the Sony PSP. The iPhone version should combine that version's enhanced graphics with the Nintendo DS version's touch screen controls. The two great tastes that taste great together? We'll find out this fall.